With the rising cost of energy concerning everyone, we thought we'd talk a bit about what that means for scooter owners. Despite the latest surge in cost, a single full charge of a large scooter should still only cost you about 23 cents. We estimate that the annual cost is about $40. Better still, if you charge during off-peak times, you could save more. Read on for the full explanation. Mobility scooters are charged using an ordinary power outlet. This adds a cost to your electricity bill. Over the past 15 years these bills have been steadily increasing, and it's expected that this will continue*. So what sort of costs are we looking at? Industry members and manufacturers have given us various ballpark figures over the years, always with caveats about battery size, charger quality, frequency of use, retail cost of electricity, etc. Some say 30 cents a charge, this supplier over in the UK suggests 7-18 pence. We actually estimated a $50-60 cost per year a while back, but no-one can recall how we arrived at this number, so it was time for a refresher. Households buy electricity from a retailer, and the price is measured in kilowatt hours. This price will typically fluctuate throughout a day, from peak times to off-peak times. There is also seasonal variation. Higher demand for electricity in summer causes the price to rise. All in all, you'll be paying somewhere between 25 cents and 35 cents per kilowatt hour for your electricity. Where do scooters enter this equation? A charger's output can be measured in watts, and a full charge usually takes about 7 hours. So from there it should be a simple matter of multiplying the wattage (expressed in kilowatts) by the hours, and then by the price. For a 7 hour charge, 90 watts for a 4 amp charger (commonly the size for an everyday scooter), we get 7 x 0.09 x 35c = 22.9 cents. It isn't quite as simple as that though. Smart chargers these days only use their maximum power for some of the time, after which they trickle charge the battery. This means that in all likelihood we’re looking at three quarters of that 23 cents number, or less. Additionally, most of the time you won’t be doing a full charge. With ranges of up to 30 km, a trip to the shops and back, say, might only use a third of your charge. This lowers the time using your charger. (Note: we do recommend charging your scooter after every time it’s been used, in order to prolong the longevity of the batteries themselves. So for a regular user, that means charging it every day). So the shorter the trip the lower the charging costs. A 3 and half hour charge probably costs about 11.5 cents. Let’s put it all together now. For someone using their everyday scooter every day for 15km, who charges it during the day or evening, the cost per year should work out at 365 x price x wattage x hours = 365 x 35 cents x 0.09 kilowatts x 3.5 hours = ~$40. Bear in mind this is a conservative estimate, with the efficiency of smart chargers not factored in. Charging your scooter after 10 pm will result in further savings, as the electricity price falls further. So our previous $50 estimate might have been too conservative! 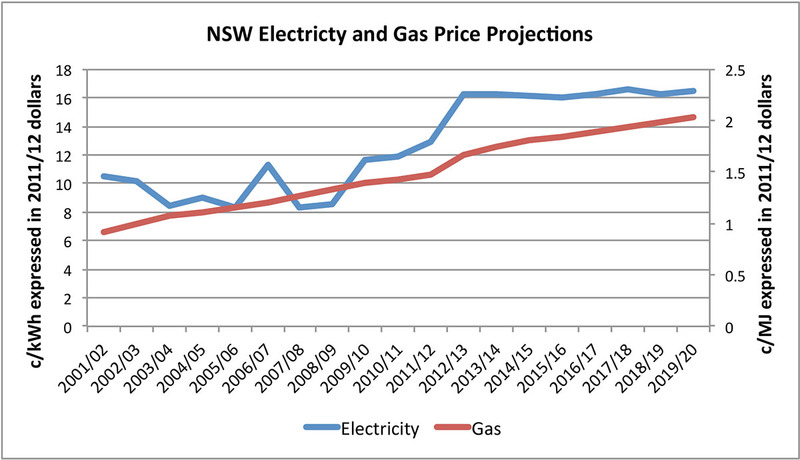 * (Data source: UTS Institute for Sustainable Futures, NSW Business Energy Prices to 2020, Dec 2012).